The first edition of the RuPay Pro Volleyball League witnessed twenty days of thrilling volleyball action in Kochi and Chennai with the crowds in the two South Indian states embracing the sport with open arms. 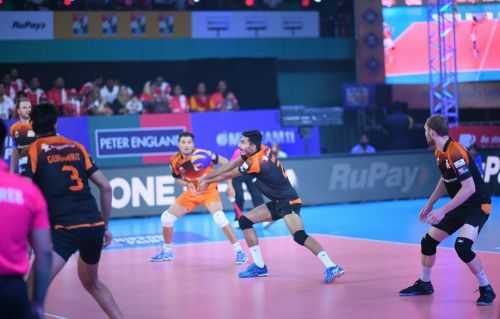 There was a host of Indian talent on display throughout the course of the RuPay Pro Volleyball League 2019 in all the positions - attacker, blocker, universal, setter and libero. The Indian players got an opportunity to rub shoulders with overseas seasoned professionals like David Lee, Paul Lotman, Tomislav Coskovic, Carson Clark, and Rudy Verhoeff. Every franchise of the RuPay Pro Volleyball League 2019 saw a couple of Indian players grab the spotlight with their performances. Here, we take a look at three of the best young players from the six franchises who caught our eye throughout the league. Having participated in the 2018 Asian Games as a part of the Indian national volleyball team, Amit Kumar is not an unknown face in the world of volleyball. The 20-year old was a part of Black Hawks Hyderabad in the RuPay Pro Volleyball League 2019. The Hyderabad based team started off the league with a win, with Amit playing an important role right from the start. Along with skipper Carson Clark and Alex Bader, Amit proved to be crucial for winning the match. The attacker went on to score 17 points from five matches, 14 of which came from spikes. He had also managed to pick points from a super serve, an achievement which only a few managed to do. In the tournament which saw all the experienced players taking the level of volleyball to another height, this lanky player did not leave a chance to make his mark.